The final count-down has begun! In less than a week American Meghan Markle will marry Britain’s Prince Harry, and I plan to spend the day watching every possible moment of TV coverage from the comfort of my home. Royal marriages don’t come along every day; neither do royal marriages involving a bride and groom who love each other. The last major royal wedding was in 2011 when Catherine Middleton wed Prince William. That may seem like a strange thing to say in our modern times, but even modern British Royals didn’t always marry for love. When it comes to choosing a spouse, the British Royal Family has to adhere to the pesky rules contained in the Royal Marriage Act of 1772. Instituted by George III after he was angered by his own brother’s ill-judged marriage, the Act decreed that no member of the Royal Family could marry without the reigning monarch’s approval. Those who defied the law risked losing his or her place in the line of succession. The Act even criminalized officiating at or attending an unsanctioned royal wedding. It didn’t take long for the King George’s eldest son, George, Prince of Wales, to defy his father (out of habit, probably, as he defied his father in many other ways, as well). Just thirteen years after The Act became law, the Prince of Wales secretly married the object of his affection, Maria Fitzherbert, a twice-widowed Catholic. Not only did the Prince of Wales violate the Royal Marriage Act by marrying Mrs. Fitzherbert without his father’s permission, he also violated the Act of Settlement of 1701, which forbade Royal marriages to “papists.” Eventually, their marriage was ruled to be invalid and the Prince of Wales later married Caroline of Brunswick. Theirs was a loveless marriage that proved to be a disaster. History records only one other instance of a British monarch refusing to grant a family member’s petition to marry. It happened in 1946 when King George VI refused to grant a cousin, Prince George William of Hanover, permission to marry Princess Sophie of Greece and Denmark. The couple married anyway. Unofficially, Queen Elizabeth II had to withhold her permission in 1955 when her younger sister, Princess Margaret, wanted to marry divorced Group Captain Peter Townsend. After pressure from Parliament that included a threat to strip her of her income and royal privileges, Margaret ended her relationship with Captain Townsend, relieving the Queen of having to decide whether or not to approve their marriage. Princess Margaret married, instead, Anthony Snowdon; they divorced in 1978. Interestingly, in 1936, when King Edward VIII wanted to marry Wallis Simpson, the Royal Marriage Act didn’t apply to him. He was the reigning monarch, and had the ability to give himself permission to marry the twice-divorced Mrs. Wallis Warfield Simpson. Their love-match lasted 35 years, but it cost him the throne. In the generations since then, the Royal Family has taken great steps forward to keep up with the times. Although the rule is still in effect that prohibits Royals in line for the succession from marrying Catholics, The Royal Marriage Act was repealed in 2015. That paved the way for this Saturday’s royal wedding, since Meghan Markle is a divorced woman. Queen Elizabeth has already issued an official Instrument of Consent, which formally declares her approval in writing of their marriage. So the scene is set, the paperwork has been filed, the dress and the cake have been ordered, and the guests have been invited. All that’s left is for Meghan Markle to walk down the aisle and exchange wedding vows with her prince. I plan to watch every moment of television coverage, from sun up to sun down. 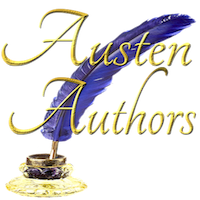 I’ll also be sharing more about royal weddings on the Austen Authors blog on Saturday so please join me!